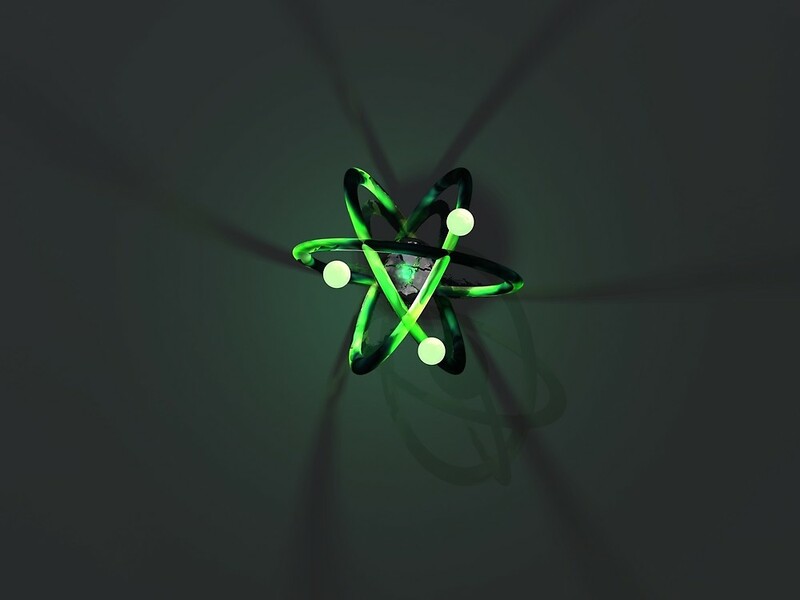 Home » Science Notes Posts » Chemistry » Chemistry Notes » Why Don’t Protons Stick to Electrons? Protons and electrons stick to each other as much as they can, but kinetic energy and quantum mechanics keep them from holding still. Protons and electrons are attracted to each other because the positive electric charge of the proton is attracted to the negative charge of the electron. But, if they two particles find each other so attractive, why don’t protons and electrons stick together? In a sense, protons and electrons stick together as much as they can. They simply can’t stay together. It’s sort of like the Earth and the Sun. The gravitational force attracts the Earth and the Sun together. The Earth is always falling toward the Sun, but it’s moving so fast the result in an orbit. An electron has a lot of kinetic energy. Its constant motion keeps it in orbit around the atomic nucleus, which contains the protons. But, it’s more complicated than the Earth and the Sun example because the Earth stays in a well-defined orbit while an electron is probably within its orbital. At any given instant, an electron could be outside its orbital or even within the atomic nucleus. But, the electron is very, very tiny compared to the size of a proton or neutron. Even if it passes through the nucleus, there’s a lot of free space. Plus, electrons have properties of both waves and particles. The electron’s wavelength can’t be appreciably compressed without altering its properties, so it’s already as close to the proton as it can get. Because of the wavelengths, the two particles essentially do touch each other. Under extraordinary conditions, protons do stick to electrons. The high pressure within a neutron star forces electrons and protons to react to form neutrons. Free neutrons don’t last very long. Within about 14 minutes, the free neutron decays to form a proton and electron, which in turn form an atom of hydrogen.